Since 2012, we've been helping organizations of all sizes to leverage the power of collaboration by creating solutions to improve communication, engagement, and productivity. Today, we are trusted all over the world by customers who rely on us for their secure, mobile-ready sites and web apps that run their business. Magentrix Solutions redefine collaboration by connecting communication, engagement and learning in one secure place. We go beyond sharing content by enabling your employees, customers and partners to work with the data that runs your business. With a centralized solution for collaboration, everyone is more engaged, efficient and productive. Whether you need a Social Intranet that enables your employees to engage and collaborate in new ways, a Customer self-service Portal that reduces your support costs, or a Partner Portal that increases the productivity of your channel sales, Magentrix lets you configure and deploy these solutions in a fraction of the time compared to other methods. 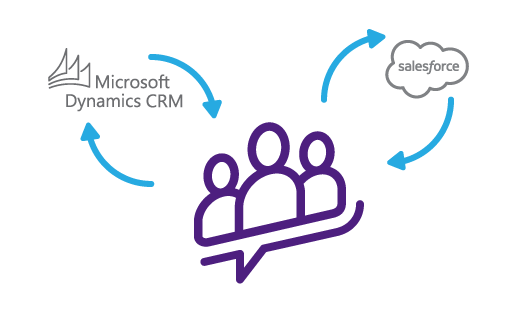 Magentrix integrates seamlessly with your Salesforce or MS Dynamics CRM to maintain a single corporate data source and give you complete control over permissions. Leverage the growing list of 3rd party applications that extend your community or use the RESTful API to integrate your own. Magentrix is a certified AppExchange Partner, Salesforce Cloud Alliance Partner and Microsoft Business Partner. Magentrix serves a rapidly growing list of international customers and partners in technology, telecommunications, healthcare, manufacturing, financial services, non-profit and many other markets. Magentrix Corporation is self-funded, privately-held and headquartered in Richmond Hill, Ontario, Canada. Magentrix has been designed from the beginning with the business expert in mind. We have pre-built solutions to provide best practice features that you can easily configure for your requirements. Which means that you can launch your portal site quickly without depending on IT or complex coding. ...a great product that is extremely easy to configure and get up and running. And that's good for your business. Our social collaboration features are built-in and will be familiar to your user community. When your user community engages and connects in Magentrix, they're able to communicate about what's important, when it's important. ...the response from our customers has been nothing but positive. From the beginning, we've been innovators. From our cloud-based IDE, and seamless integration with Salesforce and Microsoft Dynamics to our social collaboration tools for business, we're driven by a passion to solve the tough problems that business owners face as they grow online. There are alot of great tools that integrate into Salesforce, but I have to say without a doubt this is the BEST! We care about your success. Our Social Intranet and self-service community portal solutions increase employee productivity and help connect your customer and channel partner communities to share information, collaborate and integrate business processes. And that's good for your business. The team at Magentrix has really been there for us the staff were exceptional - repeat - exceptional in truly caring about us and our needs. One of the things we're well known for is our customer service. Just check out some of our reviews on the Salesforce AppExchange and Capterra to see what customers are saying. Magentrix may have well wrote the book on outstanding customer service. Our cloud solutions offer a wealth of intelligent features, pre-built components and seamless integrations that make your project much easier. And because we're an extensible platform, your portals can grow as your needs grow. 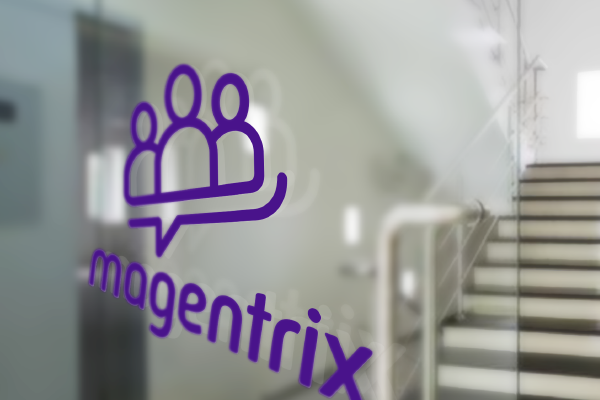 We truly believe that Magentrix is part of a long term solution for our company. Finally, there is our simple, straightforward and affordable pricing that helps avoid unpleasant billing surprises for you. For a portal solution we couldn't find anything that came close to the features, service and price of Magentrix.